It's been well documented by now that Boston Celtics All-Star forward Gordon Hayward has endured a grueling process en route to his post-injury comeback. Every athlete who has come back -- or at least attempted to -- from a serious injury has noted that cerebral strength and willpower are just as important as any physical rehab. Because it's a process. A long, arduous journey full of mini milestones, tiny victories and, unfortunately at times, some setbacks. Gordon Hayward knows this all too well. After playing some of the best basketball of his life for the Utah Jazz, reveling in the elation of teaming up with Kyrie Irving and reuniting with his former college coach, Brad Stevens, absolutely balling out in pre-season, just to have it all taken away because of one failed alley-oop. That's hard to deal with. But Gordon has. As fans and writers, we feel we went through this process with Gordon too, albeit in our own ways. We carefully read his tweets, watched every video of him, analyzing how he put pressure on his left ankle during the most mundane of activities -- like lightly walking, for instance. So it wasn't much of a shock that there would be rust during this pre-season. And there was, no doubt about it. He wasn't attacking with the same vigor he once did. He would gingerly lay the ball up instead of hammering it home. He would second guess some of his movements. And his shot was flat. However, with each pre-season game, the rust slowly, but surely, dwindled away. 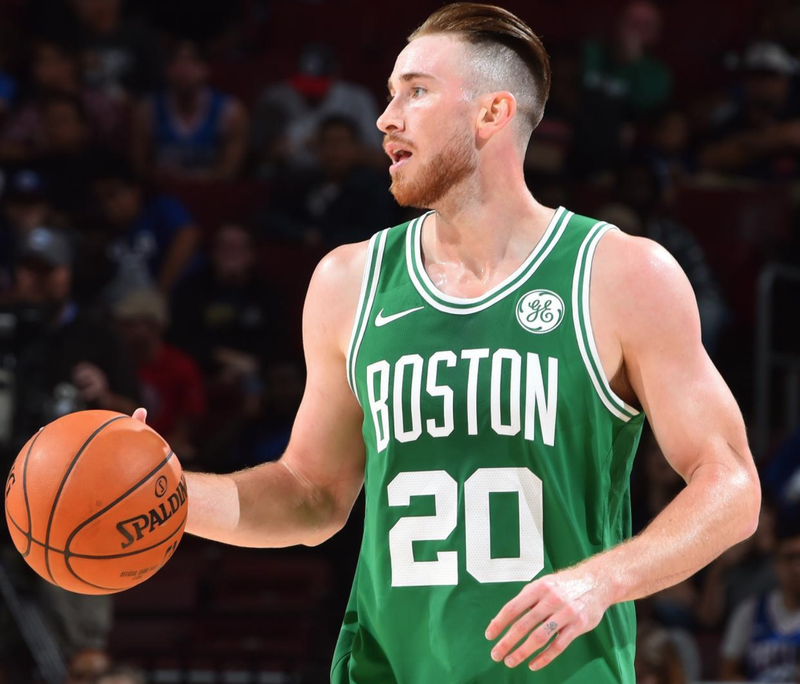 And now, as we sit just five days away from opening night, with a forgettable Celtics pre-season in the books, all we have to go by is how Hayward is progressing. Good news is, he took another shower in WD-40 and the rust is really coming off, as evidenced by his post-practice comments this past Tuesday. I think he's just doing a good job each day taking steps -- positive steps -- forward. I think yesterday in my eyes was probably one of his better practices. He just started to feel more comfortable, moving really well. I was very happy to see him -- he just looked comfortable. I couldn't have said it any better. Comfortable. The best way to sum up Gordon's pre-season was kind of uncomfortable; but as the games came and went, his comfort started to improve. Per Gordon and Al, however, it sounds like the always-happy-dad/gaming aficionado is starting to get cozy. Which is good news for the C's -- and bad news for the rest of the league. For more on Gordon's post-practice comments, click here.